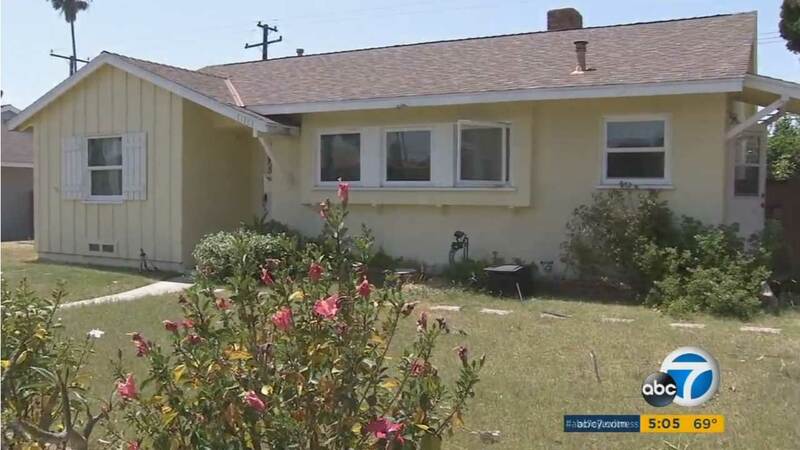 GARDEN GROVE, Calif. -- A Garden Grove mother died after being stabbed allegedly by her 13-year-old son, police said. The incident unfolded Wednesday when a delivery man reported seeing a woman on the ground in front of a home in the 11000 block of Gilbert Street suffering from stab wounds to her abdomen around 5:45 p.m. Responding officers immediately rendered first aid to the victim, who was rushed by paramedics to a hospital, where she was treated for critical injuries. She was pronounced dead Wednesday night. Police identified the victim as 48-year-old Barbara Scheuer-Souzer. Before she died, Scheuer-Souzer told officers that the suspect was her 13-year-old son. The boy was nowhere to be found in the residence at the time of the incident, but officers later tracked him down at a nearby shopping center. He was taken into custody without incident, interviewed by Garden Grove police detectives and booked at juvenile hall. Authorities said they had prior contact with the mother and son, but the incidents were non-violent. They did not release information as to what led to the fatal stabbing. The investigation was ongoing. Authorities said they recovered a kitchen knife when they arrested the teen. Per protocol, Garden Grove police did not release the identity of the 13-year-old suspect.